Smart home tech is all well and good, but what about those dumb devices that require you to actually press switches? The Naran Microbot Push aims to solve that by bringing a smartphone controlled robotic finger to your home. 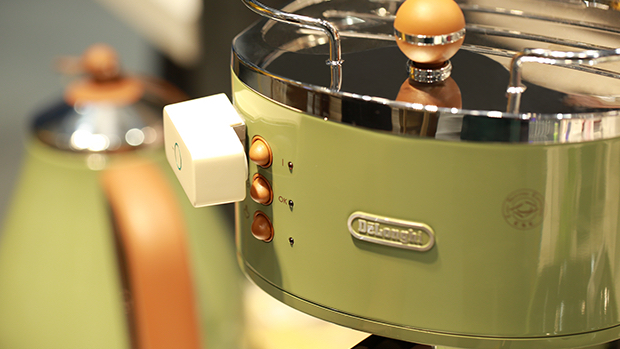 The Microbot Push clips onto things like light switches and slow cooker buttons and offers a mechanical push, which can be controlled from the smartphone app. It's the ultimate simple workaround for non-connected devices, and sticks on with a bit of foam tape. The battery lasts for around six months and incorporates IFTTT (naturally) so you can create automated recipes for your robo-finger. There are two versions, a single button that works via Bluetooth and connects to a smartphone app, which will only work locally. If you want remote control from anywhere in the world, you'll need to buy the Prota box, which acts as a bridge for the device and enables rules, IFTTT and deeper integration. Backing $159 will get you a starter kit with one Microbot and a Prota box or $199 will get you three buttons and the bridge. A single Microbot is $49. The campaign is looking for $50,000 and it's 36% funded with 31 days to go.